One special characteristic of anaerobic technology is that it acidifies and ferments organic carbon compounds to produce the end products, methane and carbon dioxide. 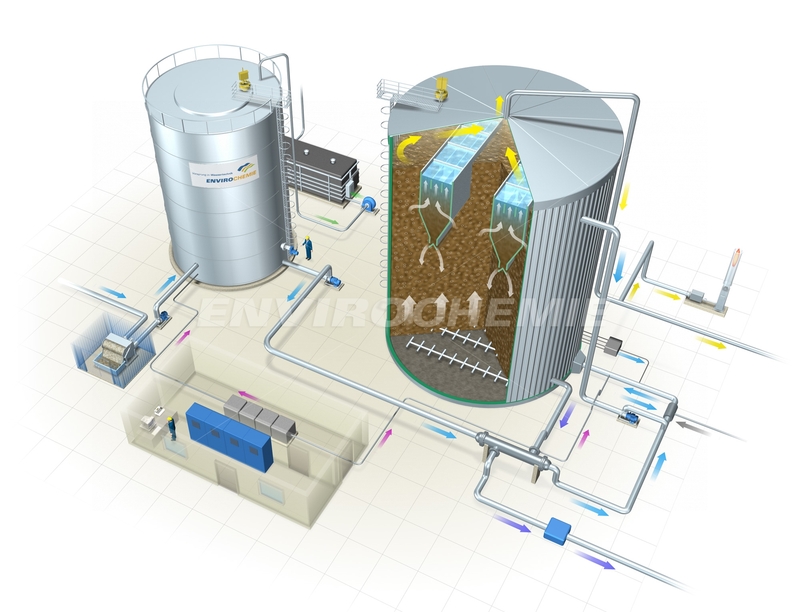 Anaerobic methods do not require any oxygen aeration and produce little excess sludge. 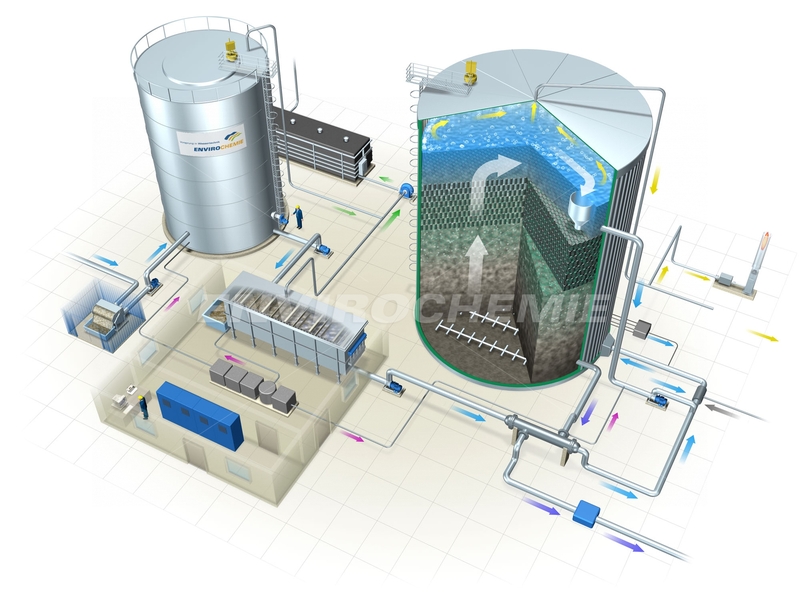 Our Biomar® anaerobic systems are particularly suitable for the treatment of waste water with high and/or intermittently occurring COD and BOD loads, as well as for seasonal operations. High COD loads are reduced with low reactor volumes (small footprint). 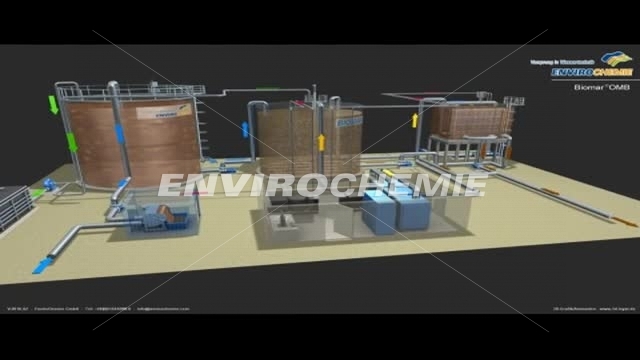 With our Biomar® aerobic treatment plants, the wastewater/micro-organism system is supplied with oxygen to promote the degradation of the constituents in the wastewater. 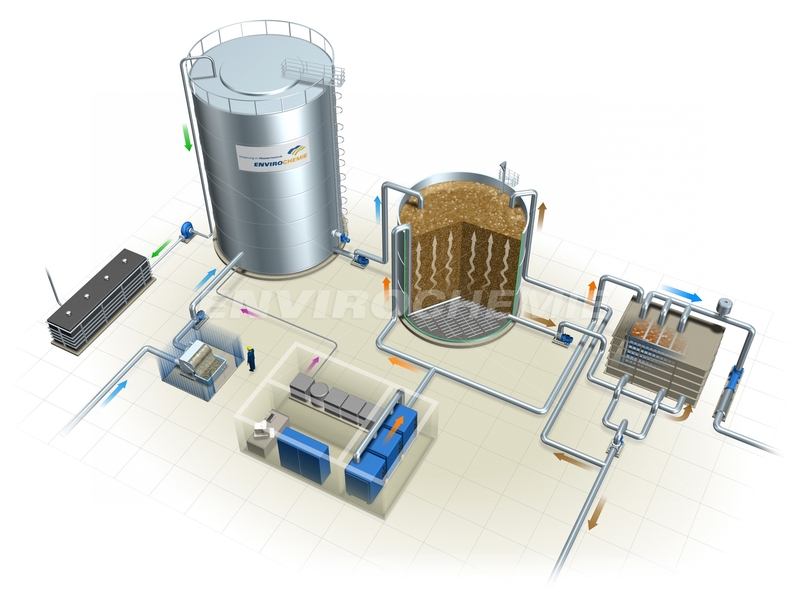 With oxidative degradation, the wastewater load is decomposed into mineral components. Our Biomar® activation plants that use MBBR, SBR or SBBR processes are particularly suitable for compliance with even the lowest limit values (such as COD, BOD, P, N).